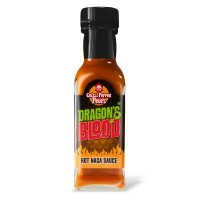 In the cave lurks the Dragon and his blood is boiling! 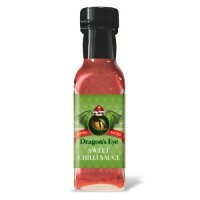 Let us satisfy your chilli cravings with Chilli Pepper Pete’s Dragon’s Blood sauces, hottest chilli pastes, and even hotter chilli extracts. 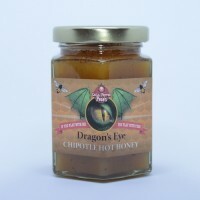 In addition we offer the widest variety of dried chillies, rubs, and seasonings, not to mention our Dragon’s Blood inspired chilli chocolate and boxed gift sets. 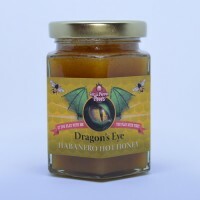 Please signup to our Facebook and Twitter for up to date information on seasonal products. 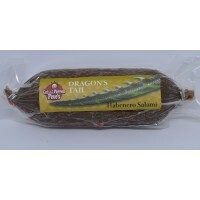 Heat: 4/10 Chilli Pepper Pete's Dragon's Eye Sweet Chilli Sauce ..
Heat: 9/10 What can we say about the legend that is Chillipepperpete's Dragon's Blood&n..
Dragon's Tail Habanero Salami WEIGHT: 230 g HEAT: 10/10 I..